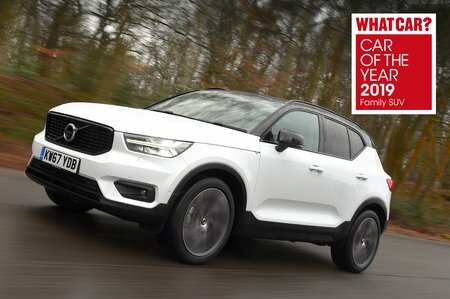 Volvo XC40 2.0 D3 R DESIGN 5dr 2019 Review | What Car? What Car? will save you at least £1,236, but our approved dealers could save you even more. Even better-equipped, sportier-looking and still reasonably priced, R-Design is our favourite. It adds sports seats trimmed in leather and nubuck, power-folding door mirrors, privacy glass and multicolour ambient theatre lighting. The cheapest diesel engine in the lineup is also the best fit for the XC40. It's more flexible at low engine speeds than the T3, so although it's not a great deal faster you don't have to work it so hard to make progress. Plus, it returns impressive real-world fuel economy. Available with an automatic or manual gearbox, as well as front or four-wheel drive.